Islamabad, December 04, 2018: Minister for Planning, Development & Reform (PD&R), Makhdum Khuro Bakhtyar and Minister for Energy (Power Division) Omar Ayub Khan jointly chaired a meeting on integrated energy planning here on Tuesday. 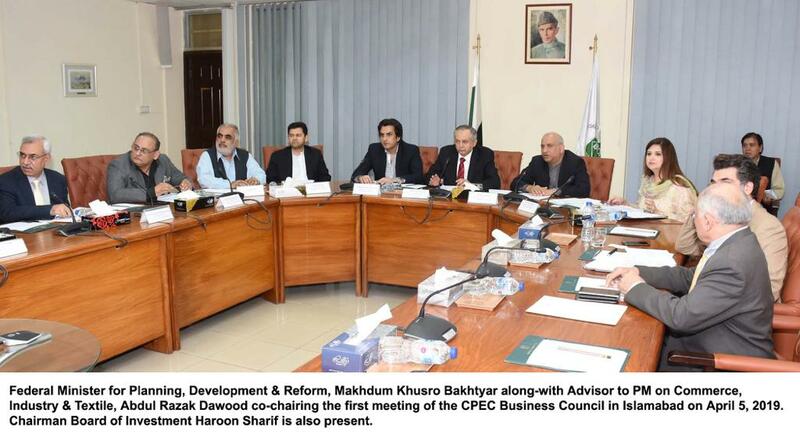 Secretary Planning, Zafar Hasan, Project Director China Pakistan Economic Corridor Hassan Daud and senior officials from Ministry of Energy Power and Petroleum Division attended the meeting. Officials of the Ministry of energy briefed the meeting about the progress on CPEC Energy projects while Member Energy, Planning Commission Tahawar Hussain briefed on integrated energy planning. 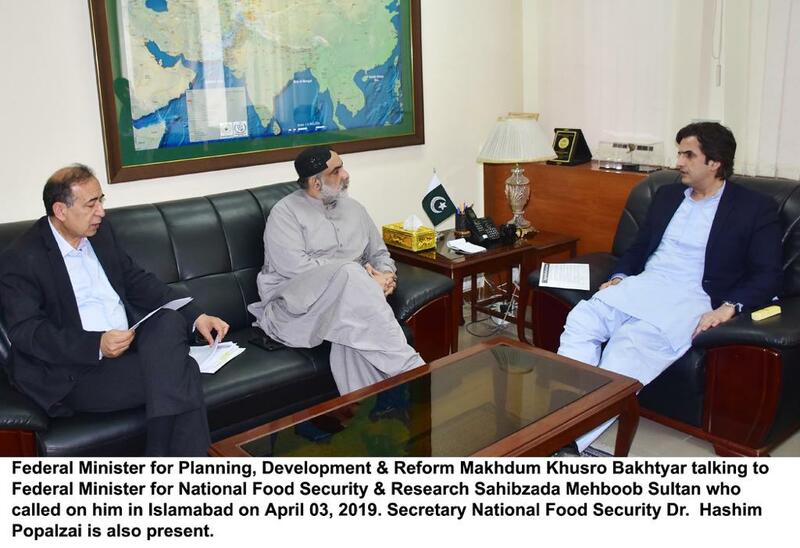 Federal Minister Makhdum Khusro Bakhtyar, on the occasion, said that present government attached top priority with cheap renewable sources of energy and its part in the energy mix would be improved up to 20 percent in the coming 10 years. Mr. Bakhtyar said that Pakistan’s energy needs are growing with the economic growth that requires continuous power generation. “Pakistan would utilize its indigenous sources of Thar Coal and hydel to meet the rising demands,” he added. Minister further said that besides generation, modern evacuation and distribution system would be developed to in place a holistic approach in the energy sector. This approach would support to eradicate line losses and issues of circular debt on a permanent basis. He instructed to fast-track implementation of the important Matiari to Lahore ±660kV HVDC Transmission Line Project vis-à-vis the CPEC energy projects in Thar. Minister PD&R, while instructing for expediting work on Gwadar Power project, said that this initiative is a backbone for development in Gwadar. He said that all matters with respect to energy projects would be finalized jointly with the provincial governments and instructed quarter concerned to take necessary steps for an early launch of construction work on the Kohala Hydro Project. 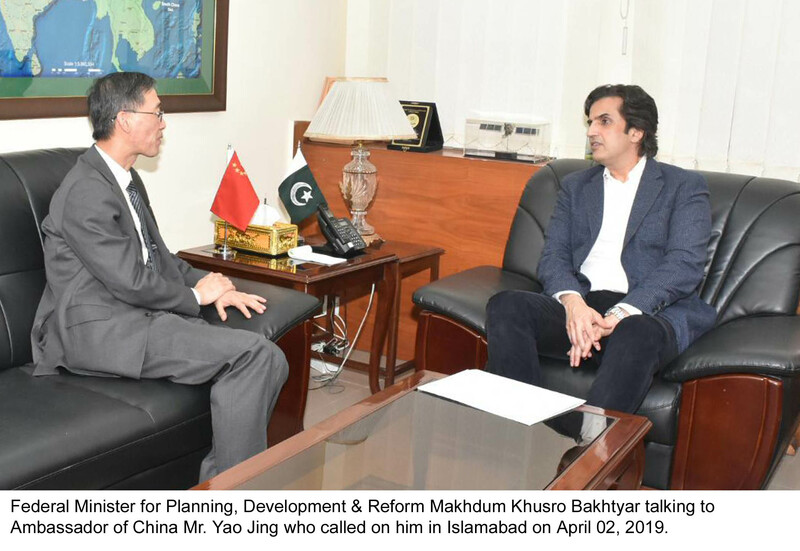 Makhdum Khusro Bakhtyar further said that issue of payments of energy projects have been settled to a great extent, however, further measures would be ensured to resolve the matter amicably. On the occasion, Energy (Power Division) Omar Ayub Khan has said that the government promotes the development of renewable energy sources to achieve cheap and green energy. He further told that with the innovation in technologies, renewable part in energy mix could be enhanced even beyond 20 percent. During the meeting, officials of Planning Commission and Ministry of Energy were instructed to sit together and develop an integrated energy plan.